Are Exotic Hardwood Floors Worth Making Your Home Look Elegant and Beautiful? If you need to check out the word ‘exotic’, it would mean anything which is foreign or unusual. So, when this word is used in the context of hard flooring, it simply means a flooring which is created from unusual species of hardwood which is most of the time not available locally or readily. Why Exotic Hardwood Is In Demand? If you think the exotic hardwood species are found in North America, then it is wrong. Instead these hardwoods are imported from countries like Africa, Australia, Far East and Brazil. So, what makes this particular kind of hardwood desirable by many people especially for their home? Read moreAre Exotic Hardwood Floors Worth Making Your Home Look Elegant and Beautiful? Your “cleaning wood floor” questions must have you frustrated. You wonder which “perfect” wood floor cleaners are best to use on which of your flooring types. For example, is there one way that’s better than another than cleaning hardwood flooring, or should you use wood floor stripper cleaners? What steps should you take to preserve the beauty and value of your flooring? It’s simple. Select your cherry flooring carefully because some cherry woods are a softer than others. Selecting the right wood, possibly Brazilian or Bolivian hardwood cherry flooring, you will enjoy its unique grain and deep color for years to come. Why should you buy hardwood flooring? Hardwood flooring is an exceptional quality flooring to use within your home or your business. The value of hardwood is typically more than most other types of flooring, partially because of its durability and styling. It adds beauty and increases your home’s value. There are many reasons to buy hardwood flooring. The only drawback to purchasing it, isprice. There are various options available to you when you buy hardwood flooring. You can find a wide range of choices in color, quality, and price. First, you should choose the type of hardwood that fits your needs. Look for the color and the grain pattern that you enjoy and that will fit your home. Then look for durability in the protective coating, if you are considering pre-finished hardwood floors. 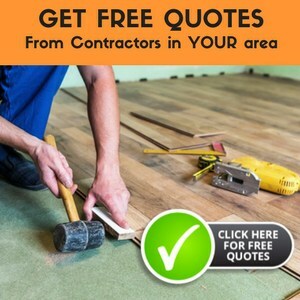 If you are buying an unfinished wood flooring, then evaluate the finished that can be applied to your new hardwood flooring to keep it looking great for years.